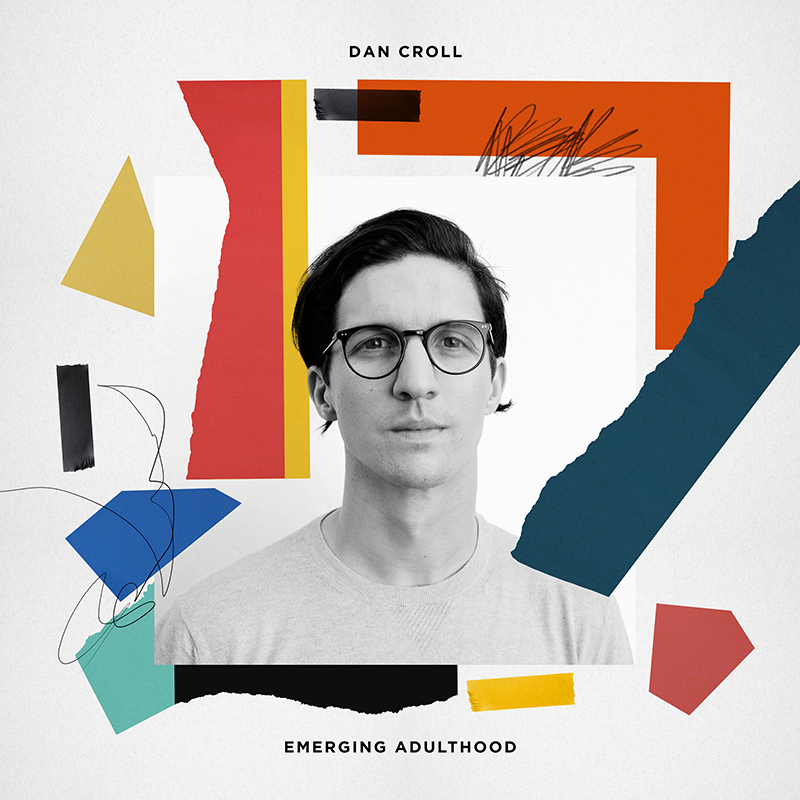 With his new album ‘Emerging Adulthood,’ released on 21st July, I had the privilege of having a phone interview with Dan Croll to talk about the release of the album and his most recent single Bad Boy, inspired by the common phase of wanting to be a bad boy but it ‘just never worked out.’ We talked inspirations, processes, his ‘organic, alternative angle’ of pop and how music wasn’t always his plan. Your new album is released in 3 days, how are you feeling about it? I think… all of the emotions. I’m very proud of it, I’m very excited about getting it out, quite nervous about it too, but yeah I think mainly just excited though. I think, compared to the first album, it’s a lot more straight to the point, I think it’s a bit more immediate. The way that it was recorded was kind of like a high intensity environment so I think that comes across in the album quite a bit as well. Your album is called ‘Emerging Adulthood,’ does that name give us a suggestion of the themes of the songs or anything like that? Yeah, well the name came from a book that I was reading, I guess it was kind of like a research paper almost, where it was talking about people who, are now more than ever they’ve got an endless amount of opportunities, unlimited resources, and people leave college or university and now they can do whatever they want; they can talk to people on the other side of the world, they can travel, and technology is so much more accessible. I think that’s really exciting for some people, but I think other people find it quite overwhelming, I think I maybe found it a little bit overwhelming too. So I think the album is about assessing options and trying to find the right route to take and trying to find a bit of confidence. Did you feel like that when you left university? Yeah, I think I felt it then because music was such a new thing for me. I’ve always kind of felt a little bit on the back-foot, a little bit amateur because my close friends and then other artists and bands you know a lot of them have been doing this since like ‘oh I’ve been playing guitar and writing songs since I was eight,’ whereas for me I was seventeen/ eighteen and I went straight into a music institute and then before long was out of the music institute and into the industry and so it’s very new. Also after the first album I kind of hit a few personal hurdles and so I was assessing whether I could do another album, and how I should do it, and where I should go and stuff like that so I had a lot of moments where I felt like that. Music wasn’t always your plan then? No music was quite a late plan for me. My main focus was sport, was rugby, and I was playing that all of my life up until about seventeen when I broke my leg and it all ended quite abruptly and couldn’t really get back into it and yeah so I was like well I do a bit of music so I guess I’ll go for that. So what was the first song you ever wrote? The first song I ever wrote was a song called ‘Marion’ which I think is on Youtube somewhere, but yeah that’s the first track I wrote. Was that when you were at uni? Ah no that was when I was about eighteen, seventeen/ eighteen. I wrote it not long after we finished the first album, so maybe it was 2015 maybe, so I’ve had it for a while, I just hit a few hurdles along the way which really delayed it, and so yeah it’s quite strange to think that actually I wrote it quite a long time ago. I definitely want to do a third album a lot quicker. My process I think is maybe a little bit different to others, I think a lot of people tend to write lyrics first, or a melody, stuff like that but I actually always start with the rhythm, with the drums. I find it really hard to work on songs if I don’t feel like they’ve got a strong foundation so I’ll usually spend a lot of time trying to find the right tempo, the right beat, the right drums, percussion, stuff like that, and then I’ll build it from the ground up rather than the top down. How would you describe your music to someone who might not have heard it before? Ummmm… pop haha. It’s quite simply pop but I think from more of a kind of organic, alternative angle than what’s in the Top 20. What were your inspirations music wise? My inspiration mainly came from my mum who played a lot of big song writers, I think mainly American song writers strangely, a lot of Paul Simon, Burt Bacharach, Brian Wilson, The Beach Boys, Michael Jackson, and then others like ABBA and people like that, the big ones. At the moment I’ve been listening to The Lemon Twigs, Bedouine umm yeah I think that’s it. I’ve been so buried up to my neck in my own music that I’m not listening to a great deal of new stuff at the moment. So your single ‘Bad Boy’ has already been released, where did the inspiration for that come from? Once I’d done the album I was reflecting a lot on moments leading up to now and there’s a phase that I think is quite common with a lot of people, where they kind of have this rebellious phase. I think mine and my friends were around high school where it’s a common phase of either you want to go out with a bad boy/ bad girl or you wanted to be the bad boy/ bad girl, the stereotypical American High School kind of bad boy. But it just never worked out. And the song is just about being confident in your own skin and not needing to do that. The music video for that, and you’ve also released a couple of other videos for tracks off your new album, who comes up with the ideas for your music videos? Most of them have been me, with a couple of exceptions, I always like to be as involved as possible with music videos but at the same time things just get so busy that you’ve got to just hand it over to someone else. Yeah haha that was a pretty low budget video. It was great, I like that one a lot! Do you enjoy making them? Truthfully? Not particularly. They’re really tough things to do you know? You wanna get your message across, you wanna get everything across in the right way but there’s so many ways to do it and yeah it’s quite a stressful thing that I don’t particularly look forward to music videos that often, but usually once they’re done and they’re out I feel a lot more confident about them. Since your first album do you think your style has changed? I think so, I think it’s stepped away a little bit from the more acoustic to the more electronic, but I think just the process in the production has changed the most. That first album was recorded in an old school gym with just me and my mates, begged and borrowed equipment and I guess a little bit DIY, but a very fun way of doing it. But then the second album has gone the complete opposite way where it’s been just me writing it all and I play all the instruments on the album and we recorded it in a very clean, polished, professional studio in Atlanta, and so it’s been quite a different process, but I kind of like that, I wanted to go the opposite way for this one. Did you enjoy one process more than the other? I think equally because they’re both just very different and hopefully the next one will be different as well, I think I’m quite… I don’t know what the word… I guess impatient or I guess I kind of bore easily so I want things to continuously change as much as possible, so it’s all exciting. Are you looking forward to touring your new album? Yes, really excited to get back out on the road! Especially we’ve got an American tour coming up in September and then we’re looking at a European and UK tour after that, so yeah I’m really looking forward to that. Do you have a most memorable moment from one of your gigs? Ah they’re all pretty memorable, there’s a lot of amazing venues out there and the fans a lot of them stay, but a lot of them are new as well and yeah just all really cool.